Natures Menu, the UK’s number one and Europe’s leading expert in raw pet food, has officially launched the ultimate natural nutrition for cats and dogs, True Instinct - truly raising the bar of the natural sector with a super-premium innovative range. 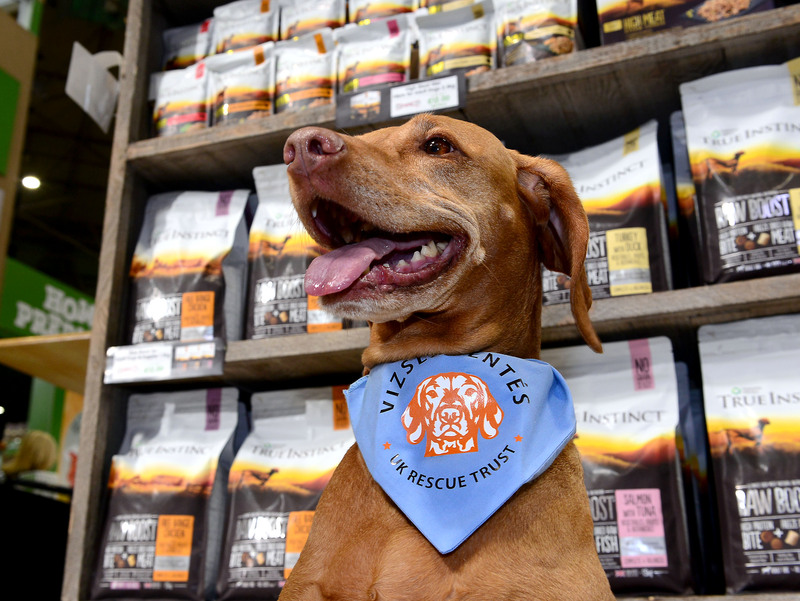 According to research,* 69% of UK pet owners feel guilty feeding their dog or cat a dry food with a low meat content, despite the convenience it offers. This is where True Instinct comes in, combining the convenience of dry with the natural power and taste of raw. Following a £2.8million investment in new technology at the company’s state of the art factory in Norfolk, the new innovative range is made from premium quality meat, fish and natural ingredients – all inspired by cats and dogs’ true nature. In true market leading style, the True Instinct raw boosted dry nutrition known as ‘Raw Boost’ is an exciting and ground-breaking development for the pet food industry. Combining premium quality high meat bites, made with fresh meat, mixed with freeze dried deboned raw meat/fish pieces, the product offers the convenience of dry with all the benefits of raw. True Instinct offers pure, natural and nutritious meals across various popular formats, all containing premium quality deboned meats and fish as the main ingredient. Each meal is balanced with vegetables, high quality botanicals and superfoods, with no artificial colours, flavours or preservative nasties. There is a range specifically tailored for Medium/Large Breed Adult Dogs, Small Breed Adult Dogs, Puppies and Adult Cats with a selection of delicious combinations including; Turkey with Duck and Salmon with Tuna, as well as Free Range Chicken as a staple across all ranges. Craig Taylor, Managing Director of Natures Menu and raw advisor to the PFMA, said: “The health of pets is at the heart of everything we do. Using our expertise in raw and natural food, we have worked tirelessly to create the ultimate high meat natural raw and raw inspired food that’s nutritious and inspired by our pet’s natural instincts – it’s a super-premium product using healthy, honest ingredients, that we know cats and dogs love. “We believe pets live a healthier, happier life when they follow their instincts, and to nurture this behaviour they deserve the best nutrition that we can give them – this plays a critical role in maintaining our pet’s optimal physical condition, keeping them healthy, inquisitive and fulfilled, every day. For more information or to place an order, please visit www.naturesmenu.co.uk/trueinstinct or call 0800 0183770. Developed with a team of professional vets and pet food experts and produced to the highest standard, Natures Menu’s delicious selection from raw meaty bones to natural treats, cans and pouches, aims to satisfy the nutritional needs of our pets and provide them with a healthy diet that's packed full of pure, natural goodness, resulting in better digestion, balanced energy levels, fresher breath and alleviating skin problems. Natures Menu is a trusted brand for millions of consumers, processing and packing its products from its own production facilities in Norfolk and delivering direct to customers via its own fleet of freezer vans from local depots across the country. The Natures Menu range is stocked by a broad range of pet shops across the UK and is also available online via a number of e-commerce platforms. This press release was distributed by ResponseSource Press Release Wire on behalf of Lucre Marketing Ltd in the following categories: Men's Interest, Health, Leisure & Hobbies, Home & Garden, Women's Interest & Beauty, Environment & Nature, Food & Drink, Business & Finance, Farming & Animals, Manufacturing, Engineering & Energy, for more information visit https://pressreleasewire.responsesource.com/about.